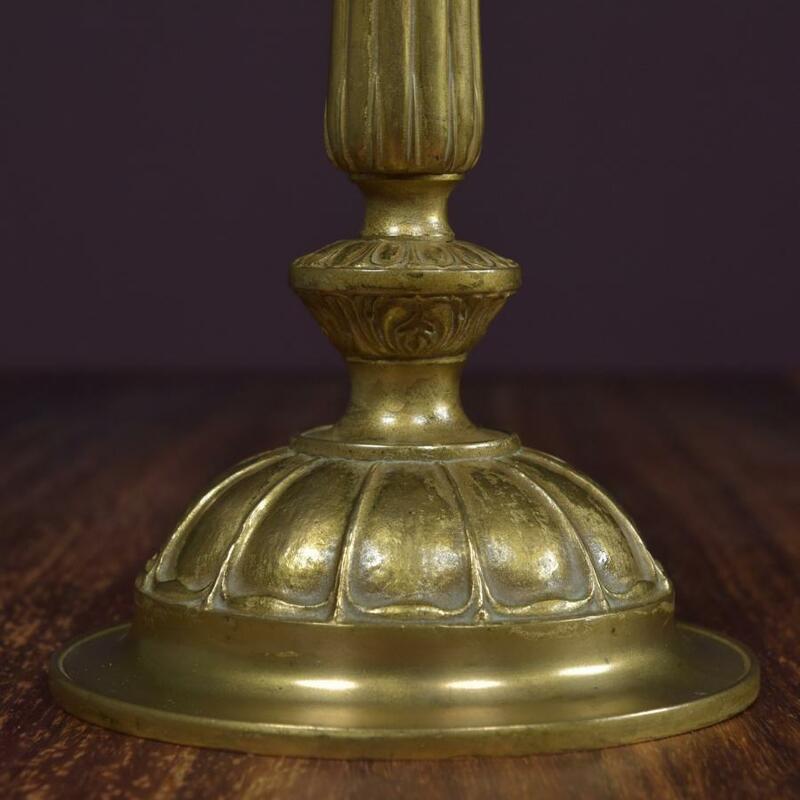 An antique Edwardian gilt brass table lamp with a reeded tapering stem with beading at the top and a leaf decorated circular base. 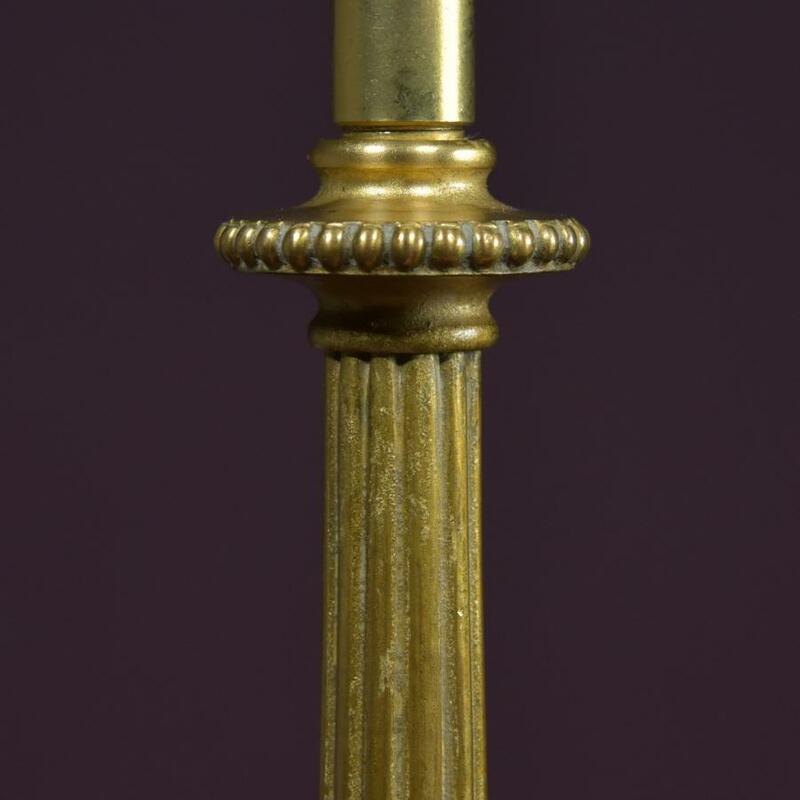 Cast brass with worn gilt finish.approx 3kg. 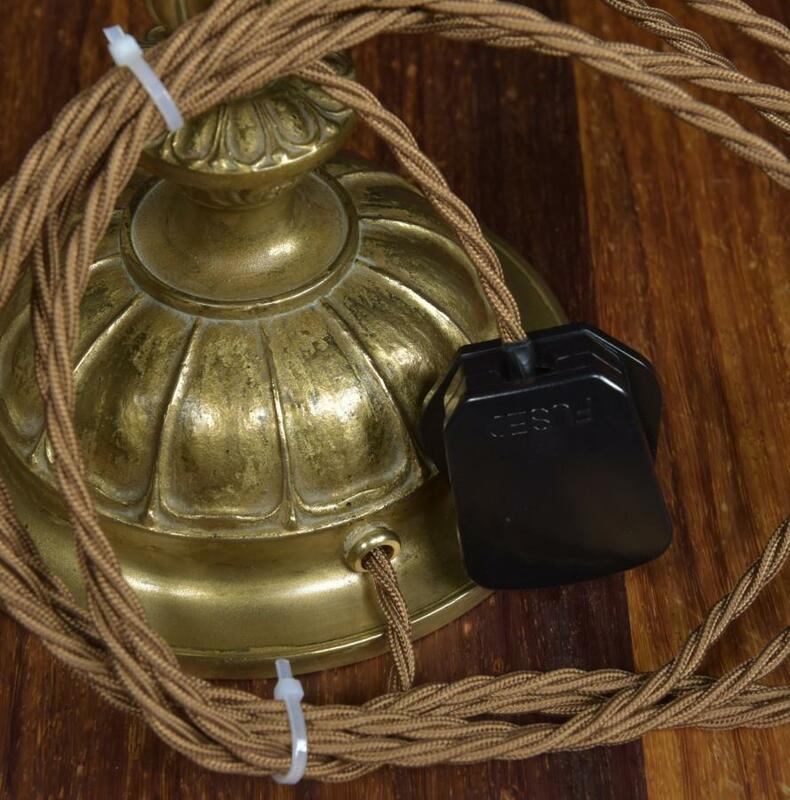 Rewired with 2.5meters Havana Gold fabric flex and a traditional hard plastic plug. 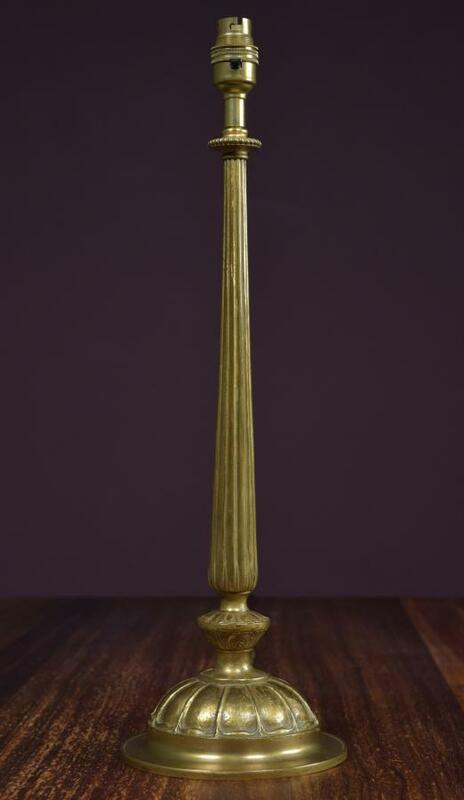 Dimensions in inches/cms; 19.625"/50cms tall including the lampholder (17.5"/44.5cms w/o lampholder) Base is 6"/15.5 cms diameter. For more or higher res images please see my blog which can be accessed through the news section of this (haes) website.